Helloooo summer, officially (as of yesterday). One of the best things about coming home for summer is all of the fun baking and cooking I get to do with my family. My dad has a really beautiful garden full of all sorts of goodies to bake with, and one of the best items to harvest there for baking etc. are his Meyer lemons. 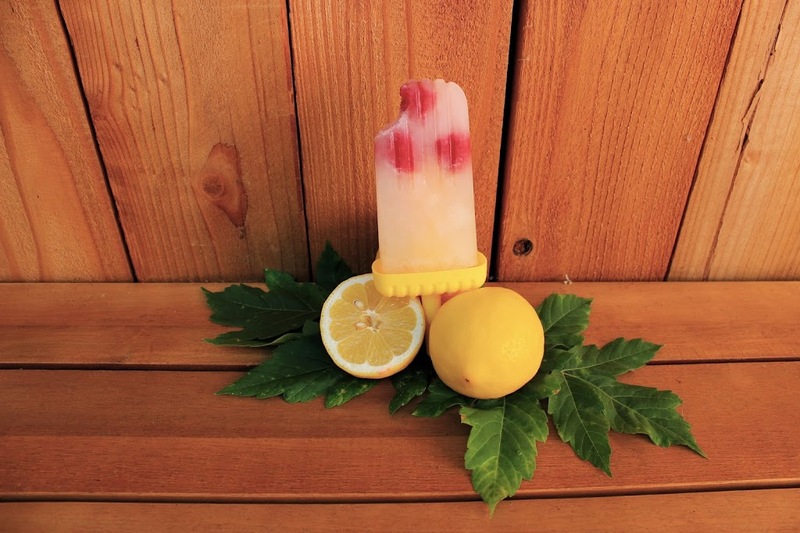 The flavor of Meyer lemon is so perfect for lemonade/pops because it is naturally more sweet than Eureka lemons, and has this extra oomph of special lemon-y-ness (yes, that is a technical term) that I looove. 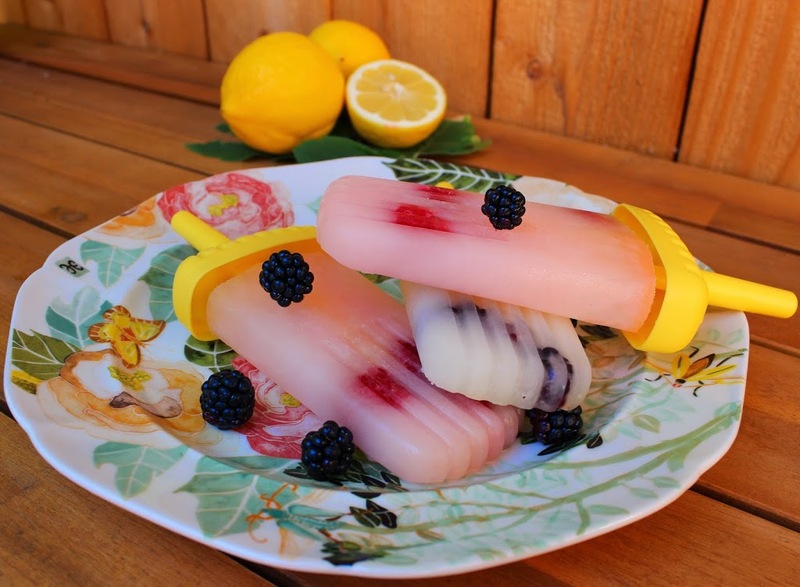 I typically like my lemon desserts on the more tart side, and that worked perfectly in balance with these refreshing popsicles. 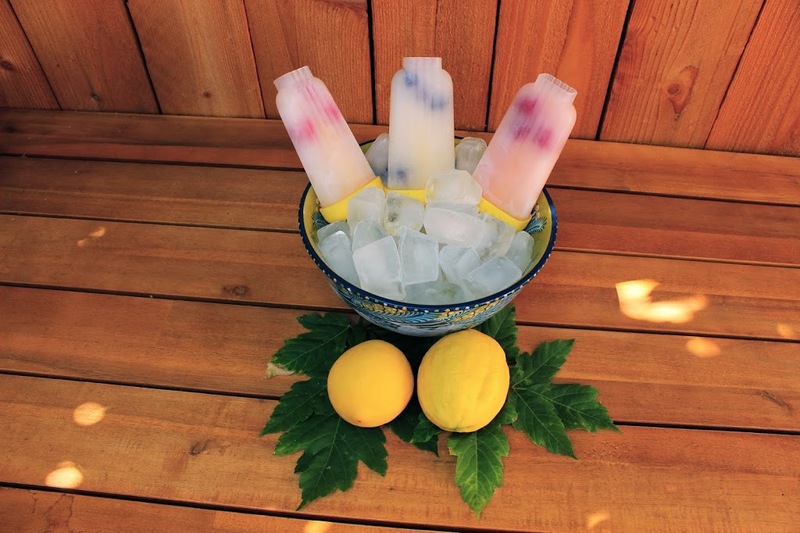 The berries add a nice texture to bite into and contrast to the tartness of the lemon. 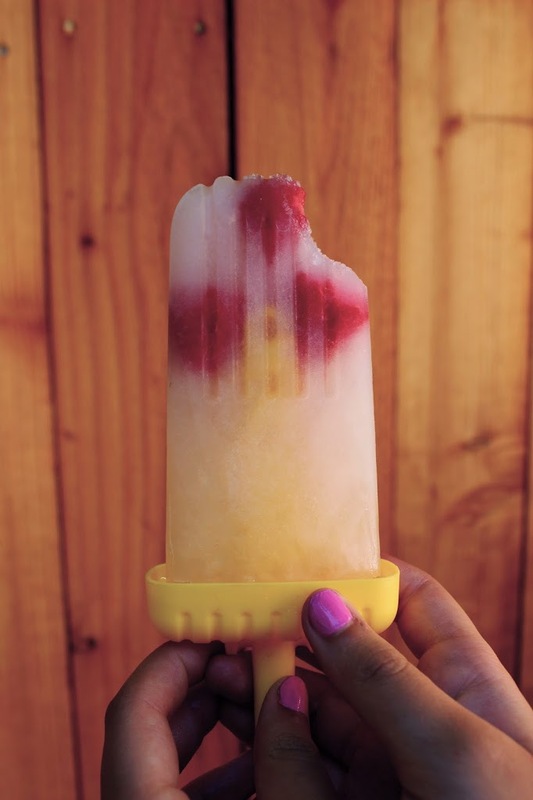 Popsicles are incredibly easy to make and so versatile, you can change these up in any combination of flavors you’d like. In a small saucepan, bring the sugar and water to a low boil and cook until the sugar dissolves. 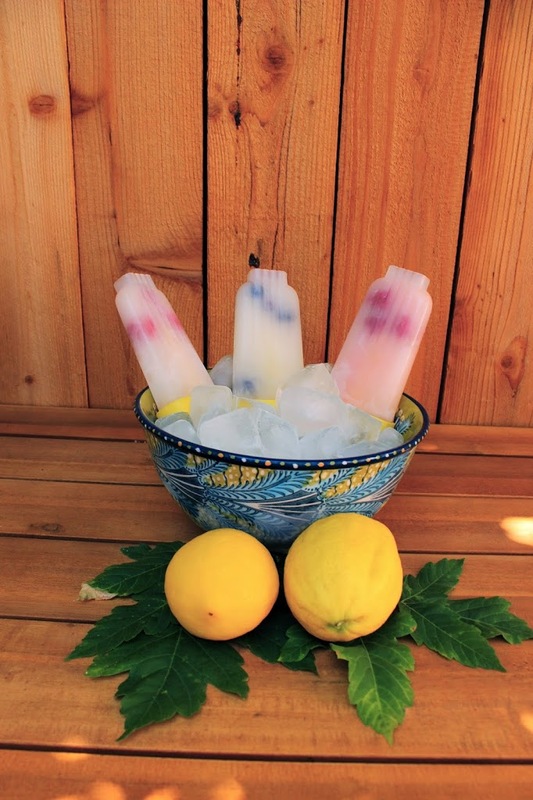 Set aside to cool before use. Should make about 1 1/3 cups. 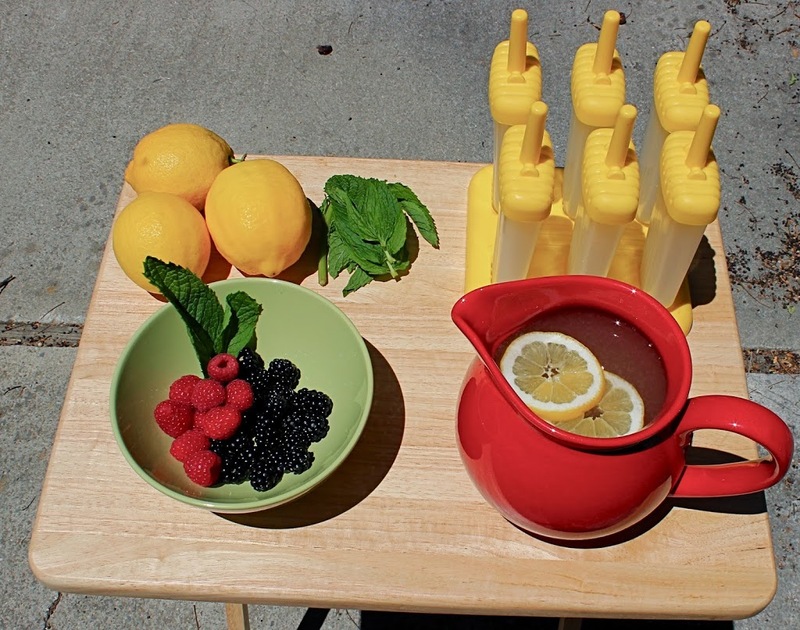 Mix together all of the ingredients into a large pitcher. 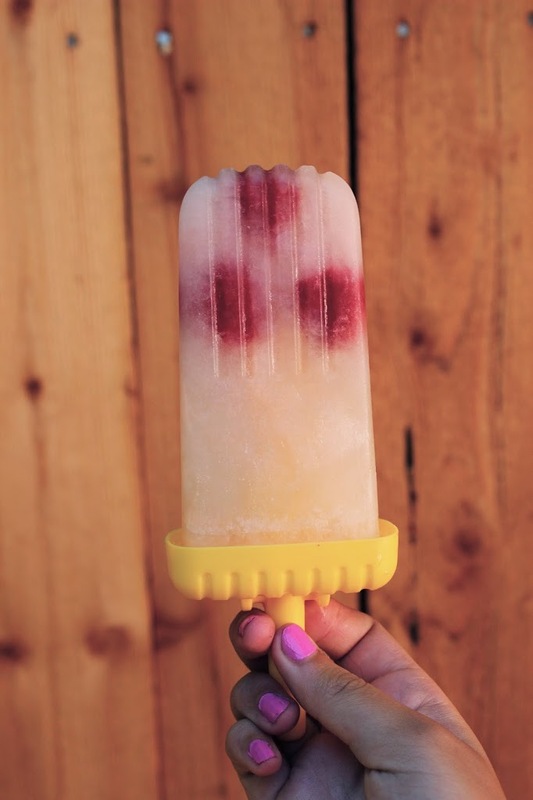 Chill until ready to freeze, or pour directly into popsicle molds. Add the fruit in whatever combination you prefer. Transfer to freezer until firm (at least 3 hours). (like I did) you can just drink the extra Lemonade. With mint. Yum. 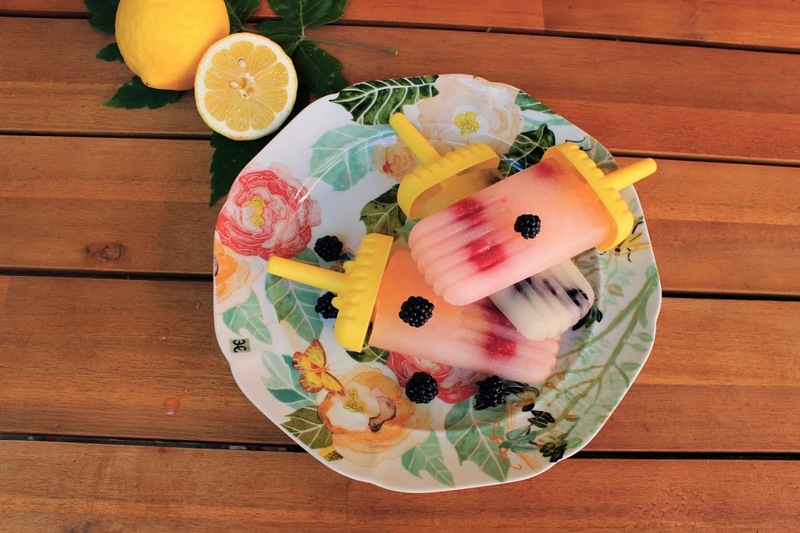 I think my next dabble in popsicles will be based on a cocktail!